Trezor is soon launching their new hardware Bitcoin wallet and it’s already possible to make a pre-order of the awaited crypto-gadget. The device promises to make the lives of Bitcoin users easier, allowing people to transport Bitcoin from the computer to reality. 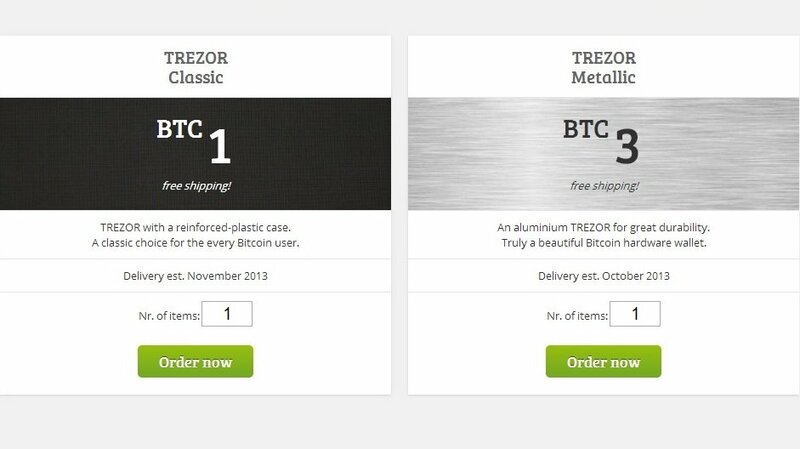 The new wallet has two different versions: the Trezor Classic, a plastic-encased model that costs 1 BTC and will be officially launched in November 2013, and the Trezor Metallic, a brushed aluminum version. This one costs 3 BTC and will be released in October 2013. However, forget about having to run to get it, since you can pre-order one of these devices today, through the Trezor eShop. Also, if you want to know more about this special wallet, you can always check this video. As stated by the company, “this pre-order allows you to purchase a Trezor today and be among the first Trezor owners when produced. Please, note that the estimated delivery dates for each type of design might change. We are doing our best to be able to send your Trezor even earlier than announced”. And there’s an exclusive side to it: “because our main goal is to support the Bitcoin economy, Trezor is available only for Bitcoins“, announces the company, based in Prague and led by Marek Palatinus, more known as Slush in the Bitcoin universe. We’re surely curious to see this device in action!